We've joked about its refusal to die before, but today, finally, the console begins its march into the history books. 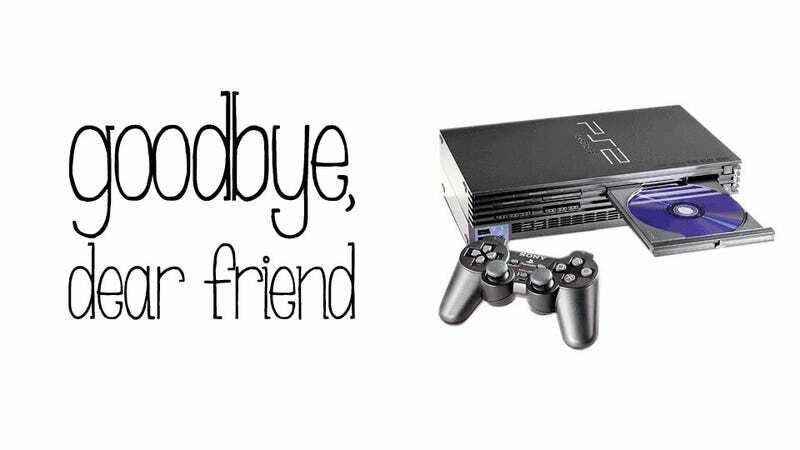 Having sold over 150 million units since its release in 2000, the PlayStation 2 has today ceased shipping to Japanese retailers, meaning once remaining stock is gone, it's gone. The PS2 Just Will Not Die! The console was first released in Japan on March 4, 2000, and in those twelve years has become—by a longshot—the biggest-selling home video game console of all time. While the end was inevitable—it was nearly 13 years old!—it's a little sad the old warhorse couldn't survive just a little bit longer, and live to see its grand-child, the next Sony PlayStation.